I continue from where I left off in Classical Inquiries 2018.02.21. I picture here a modern version of the face of the goddess of Athens, Athena Parthenos, whose statue was seen by Pausanias, as he says at 1.24.7. This picturing of the statue surely cannot do justice to the “real thing” as seen by Pausanias. The experience of seeing a colossal gold-and-ivory statue of a divinity is comparable to experiencing a Wonder of the World, as Pausanias is moved to say indirectly at a later point, 5.10.1-2, 5.11.9-10, with reference to the statue of Zeus at Olympia. We read there the impression that Pausanias experiences when he sees at Olympia another colossal gold-and-ivory statue that matches in wonder what he saw earlier in Athens. He says that no measurements, no objective descriptions, can come to terms with the infinite grandeur of such absolute divinity. I continue from where I left off in Classical Inquiries 2018.01.04. I focus here on a passing mention made by Pausanias at 1.17.2 about the picturing of a famous mythological scene: it is the Battle of the Athenians and Amazons, known in other ancient sources as the Amazonomakhiā ‘Amazonomachy’. 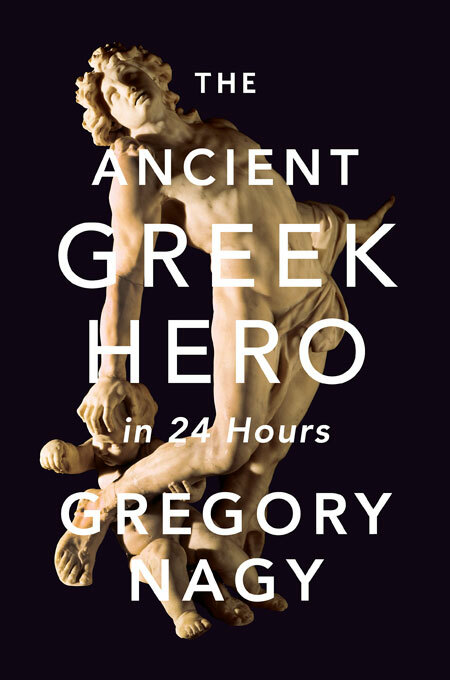 I have already commented on previous references made by Pausanias, at 1.2.1 and at 1.15.2, to the fighting between the Amazons and the Athenians as led by their hero-king Theseus. Here at 1.17.2, Pausanias mentions a picturing of the Amazonomachy by the great Athenian artist Pheidias. For the cover illustration, I have chosen a close-up of a detail from the Amazonomachy as originally pictured by Pheidias. The detail comes from the so-called Peiraieus Reliefs, dating from the second century CE, which replicate faithfully what was pictured in the Amazonomachy of Pheidias in the fifth century BCE. We see in this detail a fleeing Amazon whose head is violently jerked backward by a pursuing Athenian who has grabbed from behind the woman’s hair, which has come undone and is flowing luxuriantly in the air. I continue from where I left off in Classical Inquiries 2017.12.21. Here on the cover page, I focus on what Pausanias says at 1.14.6 about the mystical birth of Erikhthonios. 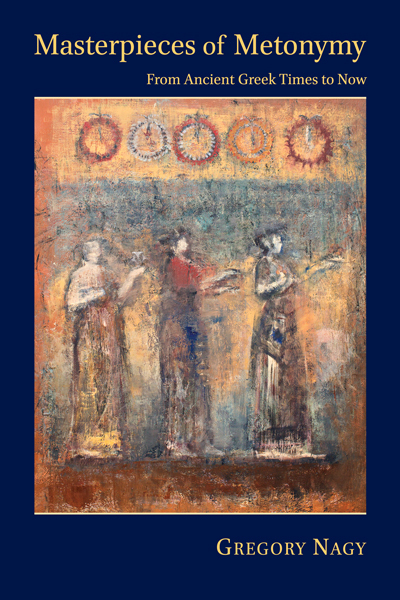 I show a painting that represents this birth as visualized in the fifth century BCE. Pictured here is the moment when the goddess Gē/Gaia, or Earth, who is the mother of Erikhthonios, is lifting her earthborn child and handing him over to the goddess Athena for safe keeping. This sampling of comments is taken from an online project A Pausanias Reader, edited by Greta Hawes and Gregory Nagy. My set of comments on the first two sentences in the text of Pausanias 1.1.1 is divided into seven paragraphs, §§1–7. Among the many points of interest noted by Pausanias in these two sentences is his mention of a temple of the goddess Athena at the headland of Sounion—a mention that seems to anticipate what he will say at a later point about a colossal bronze statue of the goddess Athena Promakhos (sometimes spelled Promachos) guarding the Acropolis in Athens.